← Character Design Challenge #312 – It’s All About You! Hey, everyone, back with another movie review for you! 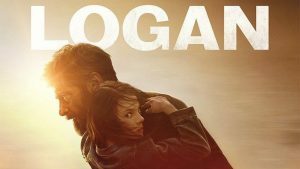 I know there were a few trailers and whatnot this week but I got to see Logan and I really want to talk about that instead. If you are interested in the trailers, I’d say the one to check out this week if you want something new is the one for the new Duck Tales show coming out this year. It looks like it could be a lot of fun. But that’s not why we’re here, is it? I want to talk about Wolverine, and I’m sure you guys to do. So let’s talk Wolverine. Anybody who’s read my movie ramblings knows I was really pumped for this one. This was Hugh Jackman’s last go as the character that he’s defined cinematically for almost twenty years. has it really been that long since this scene? This is a character that I and so many others have followed through a multitude of films, both good and bad, since 2000 (not counting anything before or outside that, I consider that separate). But it wasn’t even so much as needing to see this character through to the end for closure as it was that this movie just looked that good. I know you shouldn’t necessarily take the film at its trailer because there are really good trailers for really bad films and vice versa, but this one had me hook, line, and sinker from the first notes of Hurt in the first trailer. So I went in with high expectations and a lot of hype. Did it pan out? Yes, yes it did. Let’s start with the R rating. This was a big deal. After Deadpool made R-rated superhero movies cool and profitable again, it was little surprise that Logan would go in that direction as well. As far as the current roster of cinematic superheroes go, the only one other than Deadpool that could really come into their own with the upped rating was Wolverine. He does great in other, lower ratings too, but for this solo film, it really lets you get into the character in a way we haven’t seen on screen before. It lets you finally get to that place, to see the dark, vicious, feral depths that are generally only hinted at in other appearances. And they really went for it. For the first time, you get to see what Logan’s claws really do when in action. There are buckets of blood here and between that and the language, this isn’t a movie to take your kids to. I do have to hand it to the special effects team, both digital and practical, they did some excellent work with those fights and their aftermaths. Really fantastic work there. The wirework as well was really great. I can’t really talk about it on a technical level, but to watch it I was very impressed. It wasn’t cheesy, and it fit the characters when they needed it. I don’t think it needs to be said that this is a dark film. I suppose that was kind of expected based on what we’d seen previous to release, but it really is a dark, harsh film. I found I really loved the soundtrack and how that it really complimented that feel. To be honest, several times during the score it really did evoke the feel of something like Hurt and if the song had started playing, it wouldn’t have surprised me in the least. It was a very melancholy score overall, and it really complimented the film and never overwhelmed what was happening on screen. In fact, it was quite minimalistic as far as scores go, never really going big in the way you’d see in something like Star Wars or some of the other superhero films. I liked the subdued nature of it, it really lended to the overall feel of the movie. The composer, Marco Beltrami, wasn’t a name that I knew offhand, but he did a beautiful job here of really accentuating the movie in a lovely, subtle way. Moving on, let’s talk story and characters. The story, like I said, is a lot more somber than previous entries. That being said, there is still little bits of humor utilized throughout, just enough to keep it from being too depressing. I also found the story incredibly emotional as well. This really is a journey, both physically and mentally, for the characters. There is so much that each experiences through the course of the film. I refuse to say anything about the story itself, it something you have to see and experience for yourself. I will only say that if you found X-Men: Apocalypse too big and overblown comic-booky, that you will not have that problem here. Even the way the film is shot is very different from the standard fare of the genre, and it certainly doesn’t look like any of its X-Men predecessors. And the cast is stellar. Hugh Jackman has done Wolverine many times now, but the way he is in this film is a way that has only really been hinted at or skirted around before. There’s a familiarity to his arc, but it’s also very different at the same time. He really knows how to inhabit that character and bring him to life, even at this point in his life where he just seems so tired and done with it all. Sir Patrick Stewart is also back as Charles Xavier. I don’t really want to get into specifics here, but the way he plays Charles in the place he’s at in his life is riveting and heartbreaking. Watching them together you really get the sense of how long they’ve known one another and how deep that relationship is. 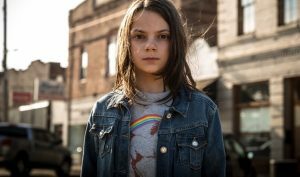 The real standout here, however, was Dafne Keen as Laura/X-23 (it was in the trailers, so I don’t consider that a spoiler). This girl is going to be one watch, I think. This was her very first film and her only previous experience was a TV show, but wow, she was incredible here. Her character goes through such a range of emotions and with the way the character was presented through a lot of the film, a lot could have easily been lost with a lesser performance. But that was not the case at all. I was blown away, and I came away massively impressed and completely rooting for her. If they’re going to keep making these films, and especially now needing a replacement for Wolverine, then we have found it folks. Bring in X-23 and this actress. I would love, love to see more of her. I so want to see little (and big!) X-23s this Halloween! That brings me to my one negative about the film. The villain. The villain of the film is really only here to drive the plot forward. The X-Men films generally do good villains and this guy was just kind of meh. The rest of the story was strong enough that it wasn’t a huge problem with the film, but he was no Magneto, or Sebastian Shaw, or Mystique, or even Apocalypse (who I actually liked). Like I said, it doesn’t even really hurt the movie, but it’s there. In conclusion? This movie is phenomenal. Go see it. There’s not much else to say. 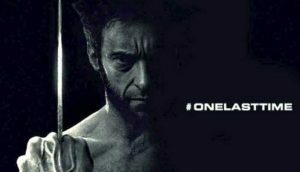 If you haven’t liked the standalone Wolverine films so far, I implore you to give them one more chance. Because third time was definitely the charm. 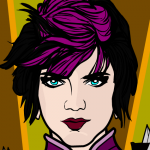 This entry was posted in Movies and TV and tagged comics, movie review, movies, reviews. Bookmark the permalink. Saw it, loved it! Go see it, people! Btw, thanks for your John Wick review, I saw it and it was great too.